The Intelligence Fusion Lab is directed by Dr. Xiang Chen from the Department of Electrical and Computer Engineering at the George Mason University. The lab’s major research investigation is focused on mobile computing, wearable devices, and embedded systems. The research topics may involve deep learning application and acceleration, distributed mobile computing, machine learning security, mobile display, and graphics, as well as VR/AR technologies. 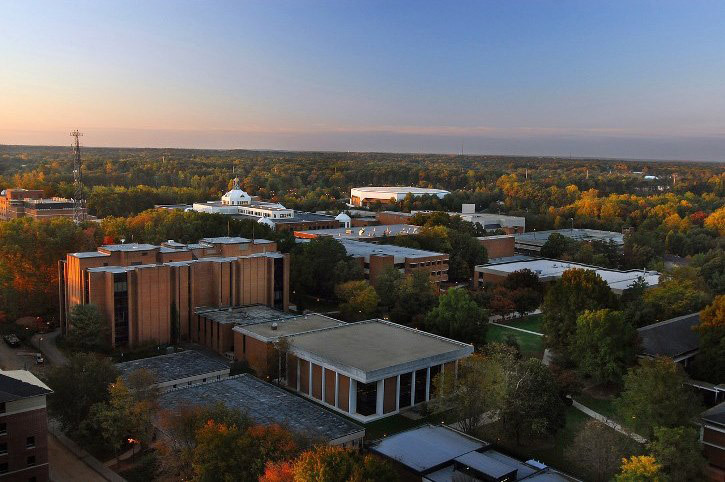 The main campus of George Mason University is located in the City of Fairfax, Virginia, approximately 15 miles (24 km) west of Washington, DC. Mason is now ranked among the highest research institutions by the Carnegie Classification of Institutions of Higher Education. U.S. News and World Report rank Mason as one of the top 10 “Up-and-Coming Institutions” for national universities, and top 100 “Best Engineering Graduate Schools” in Electrical & Computer Engineering (#82 in CE). It is currently the largest and most diverse university in Virginia. – Dr. Chen started his new position as the Assistant Professor at the Department of Electrical and Computer Engineering of the George Mason University (GMU), Fairfax VA.
– The Intelligence Fusion Laboratory (IF-Lab) was launched at GMU.